The beautiful Season Coral Bouquet is made using a mix of the finest scented coral, peach, blush pink and cream garden roses; and is lovingly hand-tied by one of our expert florists with fragrant seasonal herbs, foliage and flowers from our sustainable flower farm in Hampshire and Fairtrade sister-farm in Kenya. Please note, the photograph here is just an example of what you can expect – every one of our Seasonal Coral Bouquets is unique by nature and will vary depending on the best of our seasonal stems available to our florists on the day. 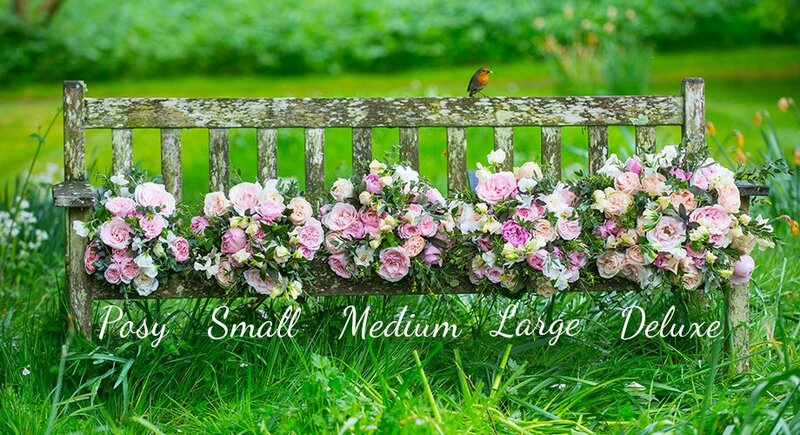 This bouquet is available in Small(12 roses), Medium(14 roses), Large (18 roses), Deluxe (24 roses) sizes. The bouquet photographed is a Large size.